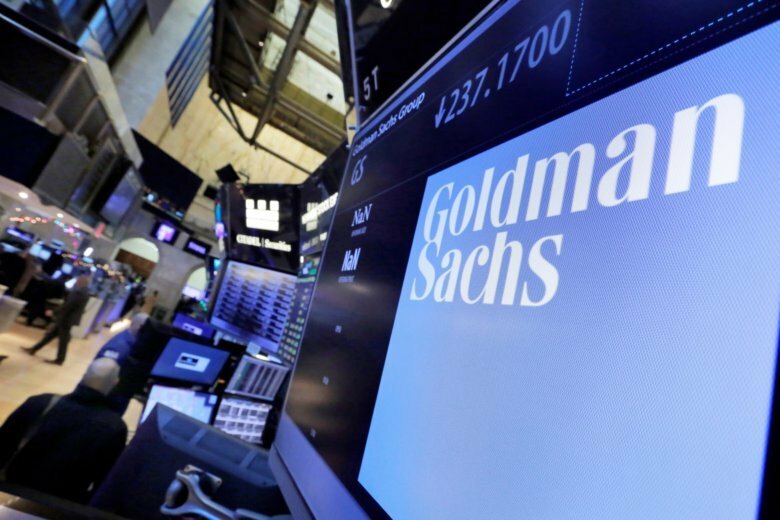 NEW YORK (AP) — Investment bank Goldman Sachs swung to a fourth-quarter profit, as the bank’s advisory business helped offset a difficult quarter in trading, given the turbulent markets in late 2018. The Wall Street firm said Wednesday that it earned $2.32 billion, or $6.04 a share, compared to a $2.14 billion loss in the same period a year ago. Like other banks, Goldman Sachs had to make an accounting adjustment to its books after the passage of the 2017 tax law, which required banks to write off billions of dollars in what are known as tax-deferred assets. The loss that Goldman reported in the fourth quarter 2017 was at the time the first quarterly loss the bank reported in six years. Goldman’s results beat analysts’ expectations for earnings of $4.30 a share, according to FactSet. Expectations for Goldman’s results were low this quarter. Goldman has a large trading business, which specializes in trading currencies, commodities and bonds. All three of those assets were extremely volatile in the last months of 2018, and other banks had posted drops or warned to expect declines in their trading revenues. The results in Goldman’s trading business, while not great, were better than expected. Goldman’s fixed income, commodities and currencies division reported an 18 percent drop in revenues in the quarter to $822 million, which was a worse performance compared to JPMorgan Chase and Citi, who reported their results earlier this week. It was one of the worst quarterly performances for Goldman’s fixed income trading business in years. Meanwhile the bank saw revenue growth in its stock trading, reporting equities revenue of $1.6 billion compared with $1.37 billion a year earlier. Goldman was able to make up for the poor performance in trading through its advisory business, where it helps companies and individuals buy and sell businesses. Advisory fee revenues were $1.2 billion in the quarter, up 56 percent from a year earlier. Underwriting revenues were down, however, as fewer companies went public or sold stock in the fourth quarter given the volatile markets. Total investment banking revenues were $2.04 billion in the quarter, down from $2.14 billion a year earlier. Goldman is currently in a transition phase, with the recent retirement of long-time chief executive officer Lloyd Blankfein last year. David Solomon took over for Blankfein, and is looking to transition Goldman away from the volatile swings markets can bring. The bank set aside $12.33 billion last year to pay its well-compensated employees, coming to a median pay of $336,885 for each of its 36,600 employees. Goldman Sachs shares were up 3.5 percent in premarket trading to $186.20.